May 02, 2017	14 Comments. We are excited to announce a new hotel for tubal reversal patients: AC Hotel Raleigh North Hills. 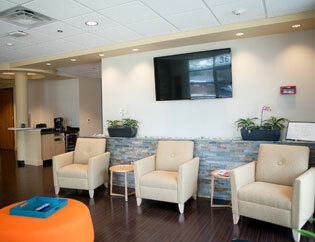 This hotel offers the best experience for our patients. Advice From Goldilocks And The Three Bears! February 23, 2017	4 Comments. Advice on picking a good tubal reversal doctor? Listen to Goldilocks. Pick a doctor that is not too hot and not too cold…pick one thats just right! Tubal Reversal Deal: Free Hotel Stay For Reversal Surgery Patients January 2017! November 30, 2016	56 Comments. Tubal Reversal Deal | A Personal Choice is offering reversal patients 2 nights free hotel stay for all reversal surgeries competed January 2017. Important Facts About Tubal Reversal Surgery! November 13, 2016	38 Comments. Important Facts About Tubal Reversal Surgery! There are 3 important facts you need to be aware of when considering reversal vs IVF. October 05, 2016	2 Comments. Liposuction during Reversal Surgery | Patient victims share their personal stories about being required to have liposuction during tubal reversal surgery. September 12, 2016	22 Comments. The truth is that tubal ligation reversal can be more affordable and more successful than treatment with IVF. Essure Reversal Advice: Pick Your Surgeon Carefully! July 08, 2016	14 Comments. Essure Reversal Advice | Dr. Monteith offers Essure reversal advice to women considering Essure reversal to become pregnant. Meet The Woman With The Longest Fallopian Tubes Ever! June 21, 2016	8 Comments. Ever wondered what the longest fallopian tubes after tubal reversal were? The longest fallopian tubes after reversal belong to Cynthia at 14 cm. Are You A Good Candidate For Tubal Reversal? Find Out! May 15, 2016	26 Comments. Are you a candidate for tubal reversal? Dr. Monteith offers advice on finding out if you are a candidate for tubal reversal surgery. Is Tubal Ligation Permanent? Not With Dr. Monteith! April 03, 2016	82 Comments. Tubal ligation is intended to be permanent but permanent is not forever when you have tubal reversal surgery with America’s leading reversal specialist.